Workstations and storage to support efficient, quality service – from small shops to large motor pools. Keep your busy vehicle service and repair shop organized, efficient, and profitable. LISTA® can help with everything from custom-configured workbench solutions to productivity-enhancing issue counters to space-saving parts storage and versatile mobile cabinets. Space and speed are critical in parts departments. 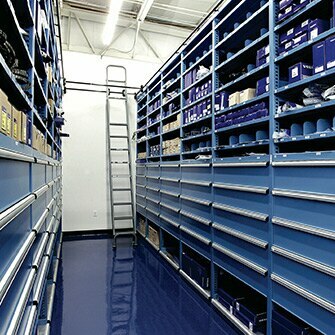 You need high-density storage that will keep your parts organized, accessible, and accounted for. To provide the most efficient, quality vehicle service, your service area must be highly functional and orderly at all times. LISTA® can help, with organized solutions that turbocharge efficiency. Our sleek-yet-durable issue counters, storage cabinets, Storage Wall System, and service area solutions keep supplies organized and accessible so vehicle maintenance and repair professionals can provide efficient service. 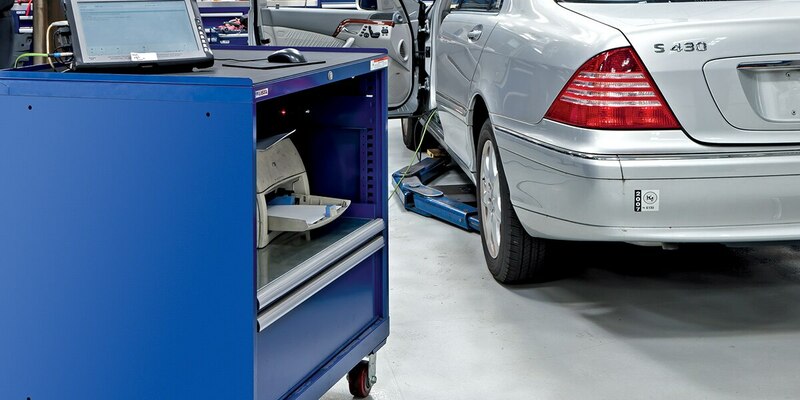 After a facility remodel, Tysinger Mercedes needed a customized service area solution that was professional, organized, and efficient. LISTA® workbenches and toolboxes equipped their technicians for fast, quality vehicle service.